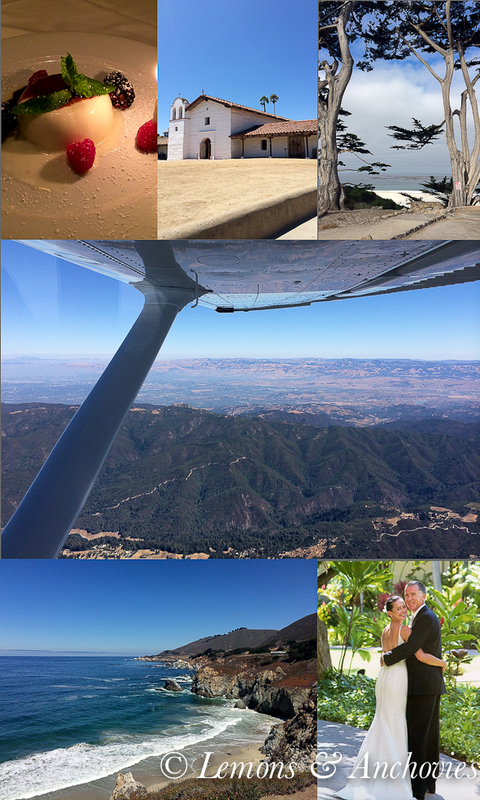 My husband and I celebrated our wedding anniversary earlier this month with a visit to Carmel and Santa Barbara. Since Carmel is a short drive for us, it makes for an ideal last-minute getaway. Too ideal, in fact, that we seem to be making the drive once a month lately. The hotel we’ve stayed in for the last 15 years is in a residential area only a couple of blocks from the beach, making it easy to pretend that I live there (oh, how I wish I had a place there!) as I stumble out of my hotel room each morning for a beachside stroll with a cup of tea. Our anniversary fell on a Tuesday and by Wednesday we weren’t quite ready to finish celebrating. We took a drive down to Big Sur, something we haven’t done in at least a decade, so we played tourists, stopping at most of the scenic points to snap a picture or two. Big Sur was an old stomping ground of my husband’s as a young man and he regaled me with stories of weekends past spent on the beach with his good friend. Not having been fortunate to secure the room we wanted in Big Sur Wednesday night we headed home…only to find ourselves on Thursday morning still unable to shake the wanderlust. At 9:00 am we managed to book a hotel, rent a car and the pleasant weather promised a smooth flight. Still packed from our Carmel getaway, we were off at 10:30 for the one and a half hour flight down to Santa Barbara. Our grumbling stomachs always beg to be fed as soon as we drive into town and from past visits we’ve found a favorite in Sojourner Cafe for a never-fail, wholesome and satisfying lunch. Sojourner is a hip cafe that’s been around for over 30 years. It’s not a vegetarian- or vegan-only establishment but the meatless options are abundant and, from what I’ve had, tasty–even this carnivore leaves full and happy. A favorite for me and my husband is their Tofu Buddha salad. 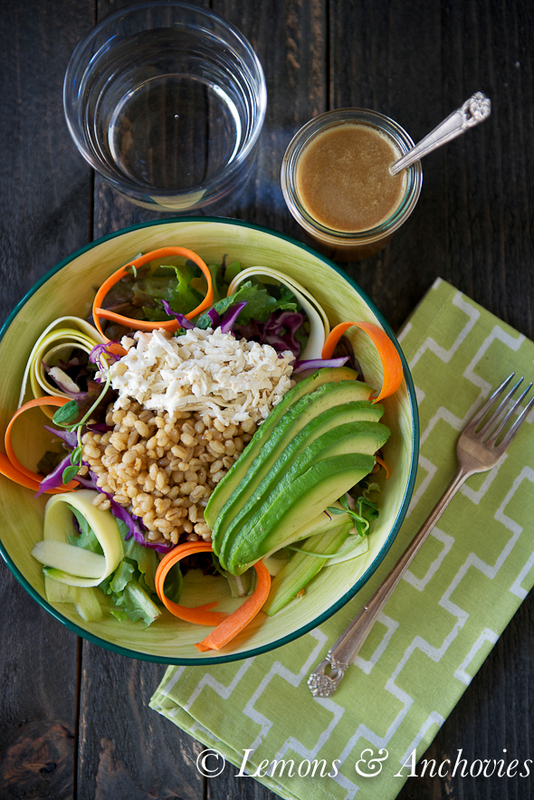 The concept of a Buddha bowl is to combine scrap vegetables and grains. At Sojourner they serve a salad version with brown rice, marinated tofu and mixed greens with a bright ginger-based dressing. It’s so simple and satisfying that on this trip I vowed to recreate it as soon as we returned home. In place of brown rice I used barley. 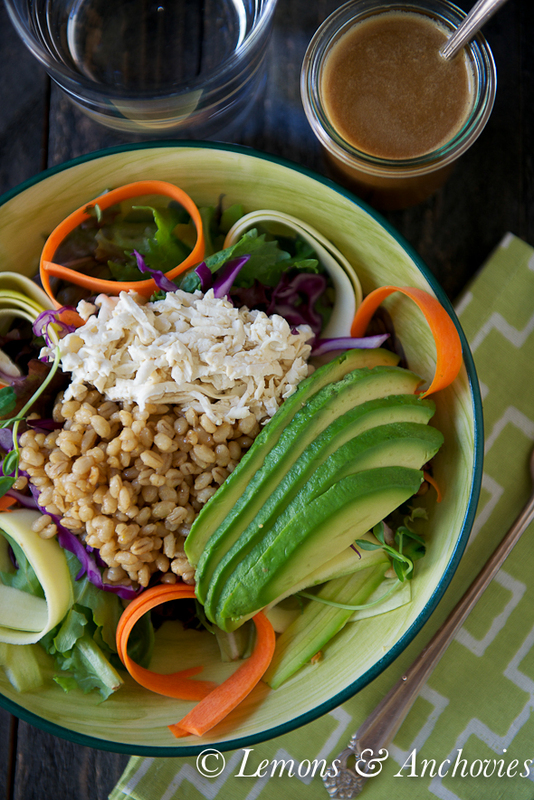 I had the notion that barley’s larger size and texture would pair better with the mixed greens and it turned out that my husband and I preferred it over rice for this dish. I stirred in just enough housin sauce into the barley to give it more flavor and I was happy with this inspiration, too. I didn’t feel the need to marinate my tofu after doing this and combined with the nest of mixed greens, carrots, zucchini, red cabbage, avocado and tossed with my zesty take on their ginger-soy dressing, we were very pleased with my version of a Buddha bowl. We spent our three days in Santa Barbara in beautiful weather doing much of nothing besides walking, browsing, wining and dining (for dinner we really like Olio e Limone). What we originally planned to be a simple anniversary in Carmel turned into a blissful, week-long celebration. 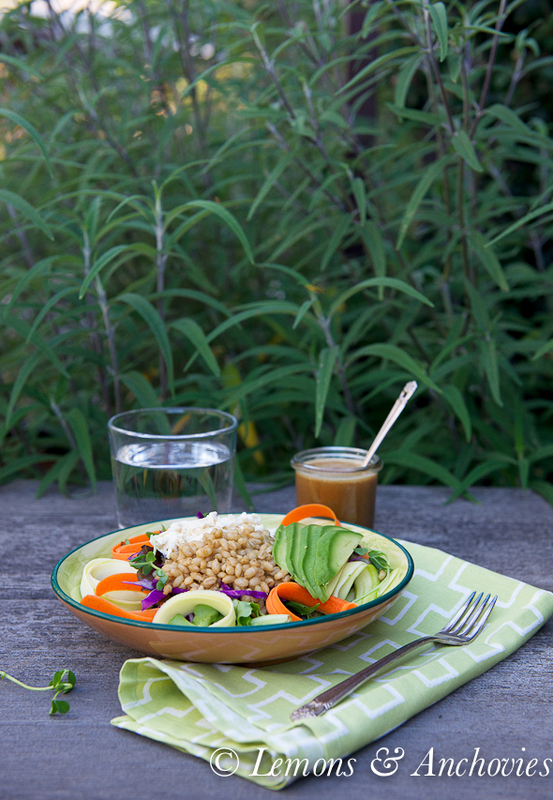 Customize the ingredients in this Buddha Bowl to make it your own then top it with the zesty ginger-soy dressing. It's healthy and satisfying! To prepare the dressing: Blend all the ingredients together until smooth. Set aside. (Makes 1 cup). To prepare the salad: I like for the barley and tofu to be a bit warm when I serve them so I heat them up. The cooked barley can be served plain but I like to add a little flavor by tossing it in some hoisin sauce. 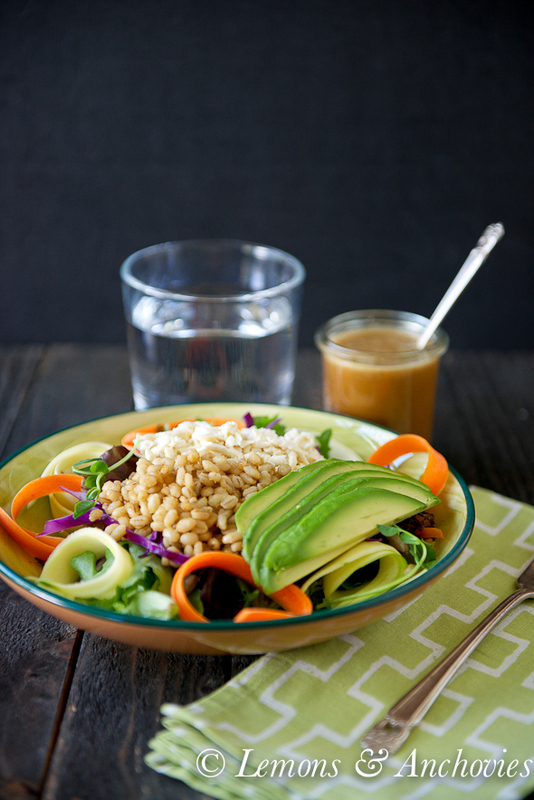 Combine the hoisin sauce and barley in a bowl and set aside. Assemble the mixed greens on a plate. Top with the red cabbage then the barley and tofu. Arrange the zucchini and carrot ribbons along the perimeter of the bowl. Drizzle with the dressing and serve. Measurements: You will notice that I haven't included measurements for most of the ingredients that go into this salad. It's really a matter of how much you want to add of each ingredient. Feel free to sub any of the vegetables or the grain with your favorite. Barley: The cook time is for cooking the barley. If you already have some barley or rice left over, you can disregard this. I’ve been to Santa Barbara many times but never to Sojourner Cafe – it sounds like a spot I’d like, so I’ll have to remember it for next time. Glad you both had a wonderful anniversary getaway! 🙂 I love this bowl, it would make a perfectly satisfying and energizing lunch! Happy Anniversary to the love birds! We have our 16 year anniversary next month. Time flies when it is the right person. This salad sounds and looks amazing. We need to plan a get together soon! 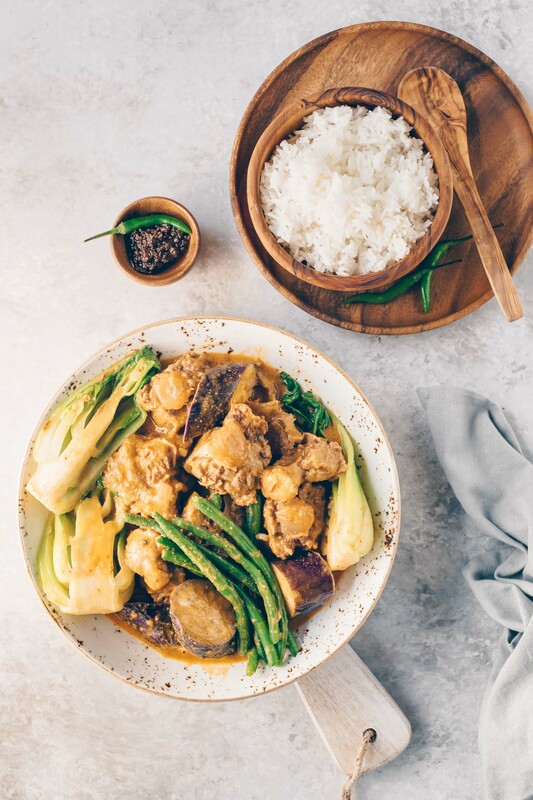 A fabulous dish! So appetizing, healthy and scrumptious. wow buddha bowls bring back some travelling memories, i always order them when overseas in bali. definitely need to recreate the recipe, thanks for reminding me how awesome they are! Happy Anniversary to you and your Hubby, Jean! Beautiful images and what a lovely image of you two. Sounds like a memorable celebration and how fun that you went back out to extend it. We’ve only visited Santa Barbara and its wine country once and Hubbs and I always talk about getting back there again one day. Happy belated anniversary, Jean! I’ve been traveled through most of Europe but I have never made my way to the west coast; something I need to rectify someday soon. Big Sur has always called to me (how lucky to live so close!! ).